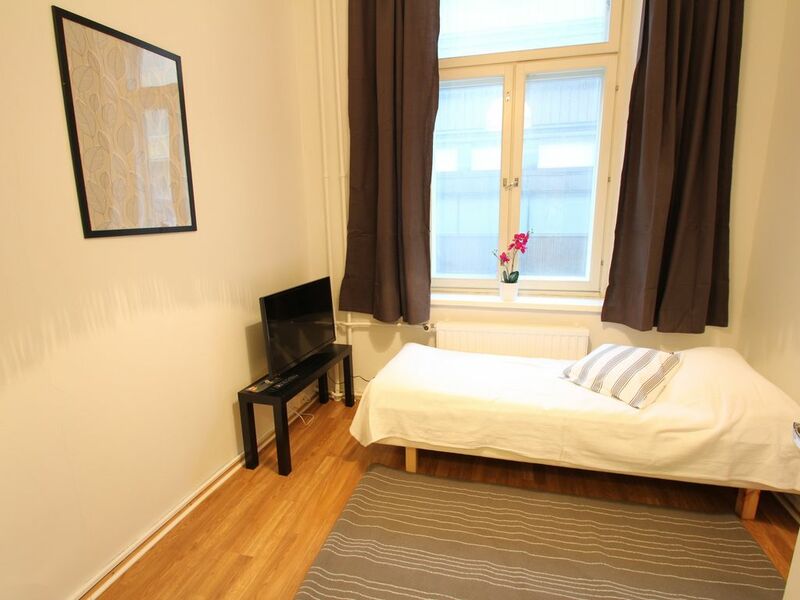 Compact Myroom in Eerikinkatu, in the heart of Helsinki. Bright communal kitchen, where is easy to cook. There is a washing machine in the kitchen. Every room has a fridge, microwave and tv. In this room there is own entrance and private toilet. Plenty of services nearby, such as restaurants and little shops. Services in the center a little walk away, such as Kamppi shopping mall. Excellent public transport: bus stop around the corner, tram stops and metro station just a little walk away from the apartment. Little park areas around the apartment. The apartment is fully furnished and you can find dishes in the kitchen so that you can have breakfast and prepare dinner. Services to help your day-to-day life (for example, cleaning services) are also available to the apartment. After booking, you will receive payment instructions and a payment link from the property via email. Credit cards are only needed to guarantee your booking. Please note that check-in takes place between 16:00 and 17:00 at Forenom office Mannerheimintie 113, 00280 Helsinki. Upon arrival, guests will receive keys. Guests arriving after 17:00 on weekdays, after 16:00 on Saturdays and all times on Sundays need to contact Forenom office at least 3 hours in advance. Contact details are included in the booking confirmation.